Early Christmas Present! I have had some requests for new maps on Planet X2. I got in the mood this last weekend and created 3 new maps. Anders also updated the PDF manual to include the 3 new maps, along with the previously hidden “Urban Ruins.” You can download this for free by finding your original download code that was emailed to you and just using that link again. It will download the new version. If you can’t find the code, or if you have reached your download limit, just send me an email to dfwgreencars@gmail.com and I’ll will send you the new link. Just be sure to give me your full name along with the email address that was originally used in the order so i can find it. Planet X2 for the Commodore 64 is Finished! In the interest of historical record, it might be nice to offer the original version at that link as well. Nothing bugs me more than when a game I love becomes not the game I love by changing. Games used to be basically written in stone, now, no one knows what version of a game they got that high score in, or pulled off that impossible move. Maybe that score or move are trivial or impossible in the new version because of a “bug fix” that got snuck in with a DLC package. Maybe that’s not the case with these new maps, but I’m still weary of any “updates” to my beloved games. There were no changes to the code other than to update the map names. There were no bug fixes. However, one possible downside might be if somebody developed some cheats for the games, the memory addresses might have changed due to the code being lengthened a few bytes to store the map names. Does this upgrade also count for the people who ordered Planet X3 and chose to have it come with a copy of Planet X2? Yes, but I will need to send out a new download link. On the topic of X3, for anyone who didn’t (or couldn’t) contribute to the crowd funding, will it still be possible to order the game when it’s released? He is currently working on Planet X3 for DOS. Huge thank you! I’ve really been enjoying Planet X2 and the new maps are a welcome surprise. 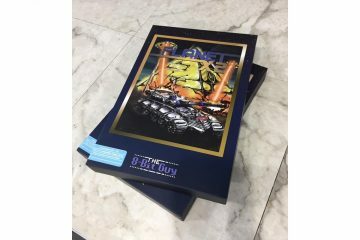 are you planning to stock up more Planet x2 (box version) in future? I don’t see the download for NEW MAPS FOR PLANET X2. It’s not a separate download. It’s the entire game that you download, which replaces the game you had before. 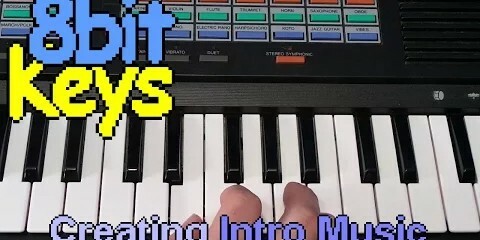 Hey there 8-bit, I have been watching your youtube videos and I am thoroughly enjoying each one. I just finished the video “how oldschool ROM cartridge games worked” and near the ending of the video you were discussing cartridge design for the Atari and Nintendo and pointed out how consistent they were for the NES and not the Atari. Well I watched a documentary on the Satoru Iwata and it discussed that Nintendo did all game cartridge in house for other game publishers/devs. This replay was sent in IE5 on a Windows 98 Laptop with a Pentium III (a Maxdata PRO650T)!